gathered several tips from different professionals in the field and compiled the following list. expenses because you tried to save a penny. hand tight and they will not leak, and you can also rotate heads for adjustments. bad to break in frozen conditions, even if you don’t have a drop of water in your system. out will cause unnecessary damage to them. to the pipe allowing for a cleaner and better install. too few and need to increase. for easy insertion to the system. you to lose pressure. Larger pipes have the opposite effect. need arises to service a valve. 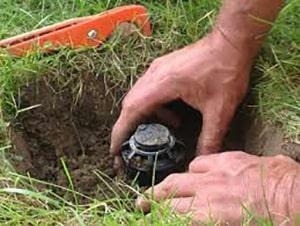 have to worry about aeration systems and will place the lines below the sprinkler body. literally burn your house down. It’s highly unlikely you’ll hit power if you aren’t even going a foot in the ground, but you’re definitely at risk of hitting gas, phone, cable, satellite, dog fences, septic lines, and many other things that shouldn’t be hit. Leave more wire than needed at the timer and valve box. This way, if you ever need to make repairs, you’ll have plenty of slack to work with. If you want to bore under a sidewalk, you can take PVC pipe with a hose on one end. Then you can use the power of the water with the strength of the pipe to bore under the concrete. Otherwise you’ll need bore equipment which could get pricy. 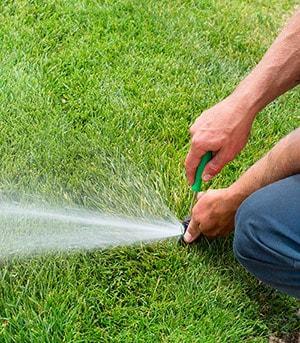 to assist you and your needs in your lawn.